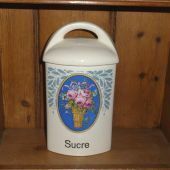 Large earthenware canister for sugar, in very good condition, made in Czechoslovaquia. 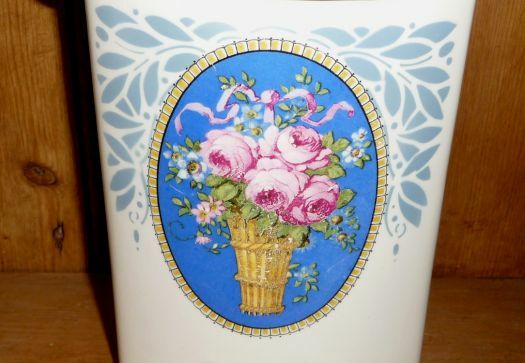 Floral design on nice blue base. 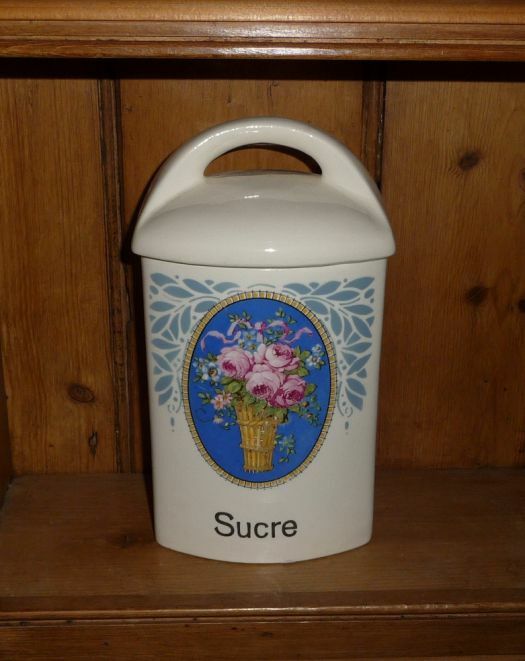 I have in stock some other canisters, same size, with other lettering ; you may contact me.